Ripple is a software company which connects banks, payment providers, digital asset exchanges and corporates via RippleNet to provide one frictionless experience to send money globally. Ripple’s cryptocurrency is named XRP. It is used in xRapid and funding via the Xpring initiative. Ripple also has products named xCurrent and xVia. 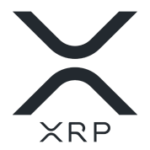 XRP is also leveraged by R3 in its Corda Settler protocol.